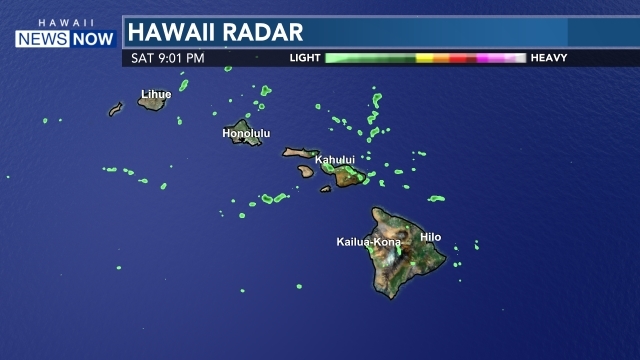 HONOLULU (HawaiiNewsNow) - After starting out the 2017 season 0-3, the University of Hawaii Rainbow Wahine volleyball got a taste of victory this past weekend in consecutive wins over Western Carolina (3-0) and South Dakota (3-0). The celebrations were short-lived, however, as the Wahine fell to Utah Sunday afternoon (1-3), dropping their season record to 2-4. 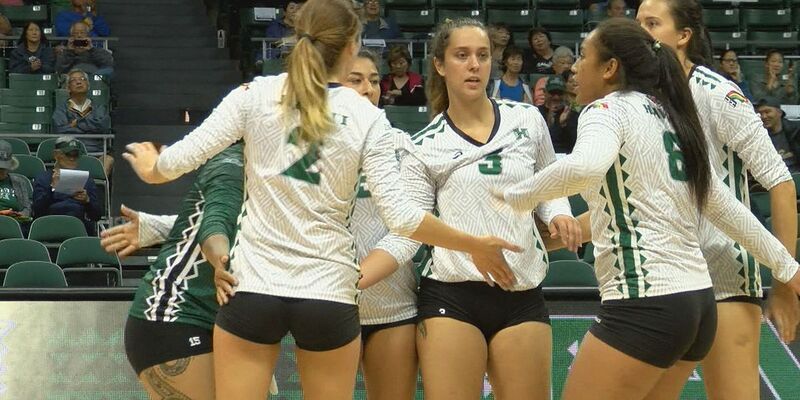 But the Wahine are looking to bounce back and make a statement this week against BYU and Baylor, showing that they can compete against the best even with a short turnaround between games. "You have to have a short memory with this past weekend," said Wahine outside hitter Kalei Greeley. "The loss against Utah, it wasn't too disheartening because we know we have to comeback on Thursday and put it all on the court." Although Greeley is looking to forget about Sunday's loss, she at least found solace in erasing the goose egg from the win column. "It was really nice to get our first win of the season and to win the next day, too, was awesome," she said. "I think that the UCLA match helped us get momentum for those two wins and they set the tone for this week in practice." Greeley added that it was a relief to get some wins under their belt, but when it comes to playing volleyball, there are no moral victories. "We have a long practice ahead of us today and then another practice tomorrow, then it's already gameday," she said. "We're going to try to get as much skills in the next two days as much as we can and focus on our games ahead." And the best way for Greeley to focus on the games ahead is by looking inward. "I think the most preparation we can do is focus on our skills and be the best team that we can be and do a little film, study up on BYU. But mostly, play our game," she said. Getting in the right mindset heading into Thursday's matchup against No. 10 ranked BYU hasn't been an issue for the Wahine, as assistant coach Kaleo Baxter is confident that the team's hard work will continue to pay dividends. "We knew that Western Carolina and South Dakota were going to be good teams coming in, but the girls dug deep, they worked hard in the practice gym and we knew that we didn't have to change much, we just have to play good volleyball, and we were able to do that for two nights straight," Baxter said. "The girls have been working hard since the first day they came to training camp. We knew that we were bound to get a win just playing Wahine volleyball…"
Baxter mentioned the size and physicality of BYU and Baylor, specifically BYU's length at the net with 6-foot-7 freshman Sara Hamson. "Again, they're a very physical team: tall athletes, they have a 6-foot-7 opposite freshman, they have a couple of 6-foot-4 girls, but their outside production is very consistent," he said. "Very similar to what Utah brought at us. We know that we're able to play at that level, it's just a matter of turning one point here or there in those two set games." Baxter echoed Greeley's sentiments that the best way to prepare for marquee teams like BYU and Baylor is to focus on improving their own team, rather than focus too much on what their competition is doing. "Volleyball is an imperfect game," Baxter said. "Every play, every ball is going to be different. So we're going to continue to get better in that so that we can be in system more." The Wahine take on BYU Thursday night at the Stan Sheriff Center. First serve is set for 7 p.m.